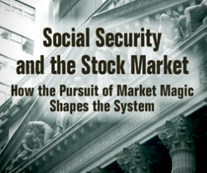 Social Security and the Stock Market: How the Pursuit of Market Magic Shapes the System appeals to anyone looking for answers to the financing problems facing Social Security and the U.S. retirement income system. By reviewing the experience of the U.K., Australia, and Canada, Alicia H. Munnell and Steven A. Sass examine the three main approaches for introducing equities into the U.S. Social Security program. This highly readable book illustrates the successes and setbacks each country experienced and draws lessons for the U.S. The authors would like to thank the W.E. Upjohn Institute for its generous support of this book. The 1994-96 Social Security Advisory Council, which I chaired, recommended three different approaches for using equity investments to help solve the long run Social Security finance issue. As it happens, the United Kingdom, Australia, and Canada have taken steps that roughly parallel the three approaches. Munnell and Sass evaluate the experience in these three countries. Their conclusions may not be the conclusions of everybody else, but this is a very interesting book and everybody else should read it. Optimal social security design needs to look at the tradeoff between risk and return of retirement benefits. Munnell and Sass provide an excellent and lucid exposition of the issues which arise when seeking higher returns through riskier benefit designs. This is the book to turn to in order to review international experience so as to understand the pluses and minuses of equities. I’ve seen first hand the importance of using equities to fund national retirement income programs. Munnell and Sass make a fresh and extremely valuable contribution by providing perspective on how equities have been included in the past—primarily through employer defined benefit pension plans—and how policy makers are now attempting to incorporate equities into Social Security programs. Setting this analysis of the reform experiences in Australia, Canada and the UK in the context of the histories and projections of their retirement programs makes the analysis valuable for anyone wanting to learn from their experiences for future US reform.